Here’s the big news for this week: my fantasy romance trilogy just sold to French publisher Bragelonne! That’s Assassin’s Gambit, Spy’s Honor, and the book I’m still writing, Prince’s Fire. I am so excited that my book is going to be available in France! I can’t wait to get my author copies. Won’t it be ironic that it will be my own book, yet I’ll be unable to read it? Maybe I should spring for Rosetta Stone. The only foreign language I know is Latin, and unless someone invents a time machine, I won’t be selling my books to ancient Rome. I consider my books to be true hybrids; that is, they fulfill both the requirements of the epic fantasy genre and the requirements of the romance genre. They are not in any way “fantasy lite.” My agent offered them both to romance imprints and fantasy imprints. In the U.S., they sold to a romance imprint, and in France they sold to a fantasy imprint. I think that’s cool. It validates what I set out to do with the books. In other news, the Romantic Times gave Assassin’s Gambit 4 stars! Here’s the review. 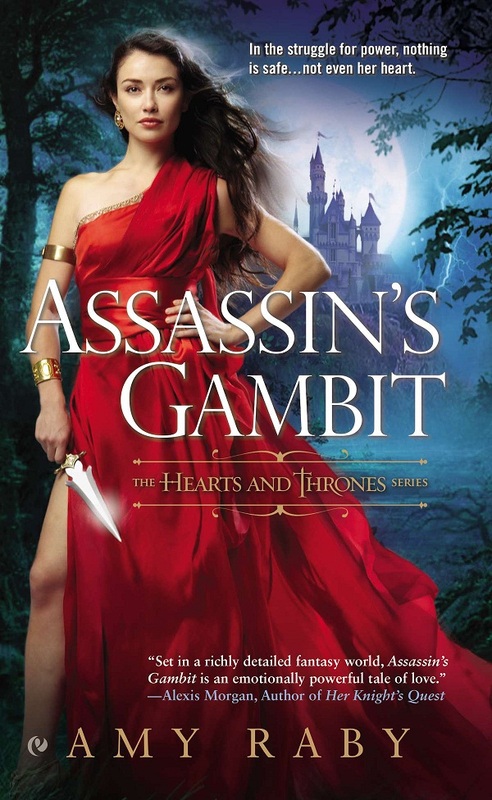 SF and dark fantasy author Kenneth Mark Hoover wrote a wonderful review of Assassin’s Gambit. It’s detailed and insightful. Here it is. 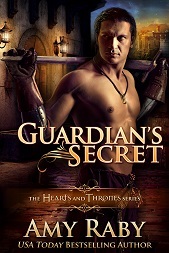 And Coffee Time Romance gave Assassin’s Gambit 4 “cups.” Review here. Jill Archer writes a fun fantasy series in which demons and humans intermingle in a post-Armageddon world. I wrote a guest post on her blog about writing brainy heroes. I was interviewed on Manga Maniac Cafe, in which I was asked some really tough questions! I was interviewed by Darke Conteur about the fantasy romance genre and also my thoughts on erotica. And lastly, Laura Lee Nutt interviewed me on her blog and got me talking about the emotional life of my hero Lucien and about the most interesting thing I learned when researching post-traumatic stress disorder. This entry was posted in Assassin's Gambit, Books, Fantasy and tagged Assassin's Gambit, books, foreign rights, interview, promo round-up, reviews. Bookmark the permalink. You busy author, you! Congrats on the French sale! That’s huge! And Rosetta Stone is awesome from what I’ve seen. I have the German version but haven’t finished going through it. My only complaint is that it’s more than I wanted to spend, but at the same time, it’s a lot cheaper than taking a language at a college. Congratulations, Amy! That’s fantastic about the sale to Bragelonne!! Sounds like you’ve been having fun with getting the word out about the series too, which is great.